Airedale Terrier Sterling Silver Dog Charm. The Airedale Terrier sterling charm is the perfect size - can be used on a necklace or on a bracelet for everyday wear! Charms are 0.925% Pure Silver. 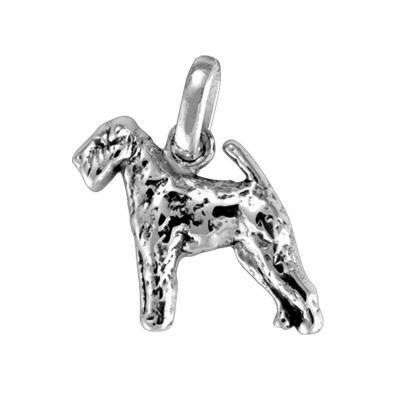 The Airedale Terrier Sterling Charm is a great way for the dog lover to show their affection for the Airedale Terrier!